In the third blog of our series on injuries caused to the senses as a result of medical negligence, we explore how substandard care can affect someone’s ability to hear. Losing your ability to hear is devastating and until it has been impaired or is gone altogether you don’t realise the detrimental effect it can have on your life. It can seriously affect someone’s professional and personal life when their ability to communicate is restricted. In a child, impairment or loss of hearing can have a damaging effect on their future development in terms of speech, balance, social interaction and education. Deafness or partial hearing loss can be life changing and when it has been caused by something that could have easily been avoided; the pain is even more difficult to bear. When hearing impairment or loss has been found to be caused as a result of medical negligence, compensation can be sought. This occurs when there is a failure of the conversion of sound waves into movements by the eardrum and the little bones of the middle ear. This can occur if the sound waves cannot reach the eardrum perhaps because of a blockage or if the vibrating mechanisms of the eardrum are not working properly. 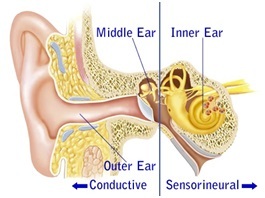 Causes of conductive hearing loss include blockage by infection or ear wax, or by a buildup of fluid. Conductive hearing loss can often be treated to some extent and hearing can be improved. Sensorineural hearing loss is due to a problem of the inner ear or of the nerve that carries signals to the brain. It is also caused when the hair cells within your cochlea are damaged. Sensorineural hearing loss is usually permanent as once the hair cells are damaged, they cannot be repaired. Whilst there is no cure, hearing aids can help amplify sounds and maximize any residual hearing. The most common cause is old age, but it can also be caused by brain damage, direct damage to the nerve itself, infection or result from the side effects of certain medication. Gentamicin is a very powerful antibiotic which can be toxic to the auditory system. It is used to combat infection, most commonly in newborn babies. However, care must be taken and there should be regular monitoring by doctors to check that their condition does not deteriorate. Renal and liver failure can cause the Gentamicin levels to increase as it cannot be flushed out of the system. Potential consequences of the toxicity include deafness. The failure of doctors to adequately monitor Gentamicin levels, or to continue to prescribe them for a prolonged time can result in avoidable hearing loss. A delay in investigating and treating the symptoms of meningitis in a timely manner can cause both bilateral hearing loss and inner ear damage, affecting balance. Sensorineural deafness is a complication of bacterial meningitis. Inflammation around the brain caused by meningitis can damage the nerve that travels through the passageway between the ear and the brain, leading to hearing loss. Providing treatment during the first 24-28 hours of the illness is critical. Negligent treatment may occur where someone goes to Accident & Emergency with symptoms of meningitis if they are discharged without appropriate investigation or monitoring. They may also be admitted and not be treated appropriately. In cases where symptoms of bacterial meningitis are present, antibiotics should be urgently administered as a precaution as the failure to do so can lead to significant long term injury. People who have suffered from meningitis should be given a hearing test which should be carried out before discharge, or within 4 weeks of being well enough to have the test. Hearing loss can also occur months after recovery from meningitis. Careful follow-up and regular hearing tests are important to diagnose this as soon as possible and to prevent further damage. Failure or delay in diagnosing and treating Cholesteatoma. Cholesteatoma is a buildup of abnormal skin cells inside the ear. It can also occur after the eardrum has been damaged through an injury or infection, or after any kind of ear surgery. It is a rare condition but if it is left untreated is can continue to grow and can damage the inside of the ear by eroding the inside of the ear canal. It can lead to an ear infection, tinnitus and vertigo but in the extreme can lead to permanent hearing loss. – Persistent and sometimes bloody and smelly discharge from the ear. – Minor discomfort or a feeling of fullness in the ear. Your GP may diagnose or suspect this condition after examination of the ear. You may initially be given antibiotics if infection is suspected. However, if your symptoms do not improve your GP should refer you to an ENT specialist. Timely CT scans and hearing tests should then take place. In most cases Cholesteatoma will be treated by an operation under general anesthetic. The risks of surgery are similar to those of leaving the condition untreated and include hearing loss, tinnitus and vertigo but the benefits of removing it far outweigh the risks. Claims for medical negligence may be for a delay in diagnosing the condition, a failure to treat the condition with appropriate surgery or relate to the standard of the surgery itself. Unless the Choleasteaoma is removed in its entirety, it will come back. A failure to diagnose the condition could result in avoidable treatment or surgical procedures and could lead to the condition becoming worse. Left undiagnosed it can lead to reduced or even complete hearing loss. Without treatment, this condition may get significantly worse and can even be fatal. An acoustic neuroma is a benign tumor in the brain. Symptoms include hearing loss, tinnitus and balance problems. This can often be mistaken for other inner ear problems including infections. On you presenting with these symptoms, your doctor should refer you for hearing tests, an MRI scan and a CT scan. In the majority of cases the tumor is relatively small and won’t cause any problems. This can often just be monitored, unless symptoms are disruptive. A hearing aid or pain killers can ease symptoms considerably. During the procedure to repair a perforated ear drum, skin is taken from behind the ear to seal the hole. However, sometimes surgery does not lead to improvement and it can actually cause further problems. You should have advice on the risks of the procedure, and alternatives, before any surgery is carried out. If inadequate advice has been given about the surgery then a claim for compensation may be bought. Otosclerosis is a disease of the bone surrounding the inner ear. It can cause hearing loss if abnormal bone forms and reduces the amount of sound reaching the ear drum. There is no cure but can either be monitored and a hearing aid used, or surgery can be performed. Surgery does have potential complications and a patient should be fully advised about the risks and alternatives before the procedure. If they are not, then go ahead with surgery and one of the risks materialises, a claim for compensation can be brought. Risks of surgery include total hearing loss and taste disturbance if the taste nerve is damaged. Glue Ear is a build-up of fluid behind the eardrum in the middle ear. Glue ear can occur in adults but is most common on children. It often follows a cold or ear infection. 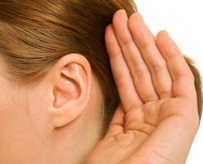 The buildup of fluid impairs the movement of the ear drum and causes partial deafness. Diagnosis of glue ear is based on considering speech, shouting, poor concentration and frequent earaches and poor balance. If glue ear is suspected it may sometimes be diagnosed by seeing signs of fluid behind the ear drum with an ear torch but this is not always possible. 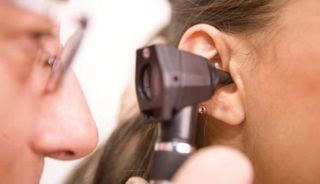 A tympanogram is a specialist test carried out by an audiologist to check the movement of the eardrum. Sometimes however the only way to make a diagnosis is by investigative surgery. Problems to look out for include recurring ear infections, or a family history of ear infections and glue ear. A delay in diagnosing glue ear may lead to a claim for compensation for medical negligence. The medical negligence team at Bolt Burdon Kemp have significant experience of dealing with claims where hearing impairment or loss occurs as a result of substandard medical treatment. Compensation may not be able to restore your ability to hear, but it can help in other ways. For example, by providing private treatment and rehabilitation such as hearing aids, implants and appliances, speech therapy and sign language courses. These can ensure you receive the best possible care, and truly enhance your quality of life. I am a Solicitor at Bolt Burdon Kemp specialising in Medical Negligence claims. If you or a loved one are concerned about the treatment you have received which has affected your ability to hear, contact me free of charge and in confidence on 0207 288 4820 or at hannahtravis@boltburdonkemp.co.uk for specialist legal advice. Alternatively, you can complete this form and one of the solicitors in the Medical Negligence team will contact you. You can find out more about the team here.